Our advice to the hard-working Central Park carriage horses and their drivers is this: Ignore all the honking and screeching about your industry. Just keep clopping with dignity and elegance through the heart of a city where people occasionally act like killer bees on crack. You're a reminder of a gentler age that New York needs. Some animal-rights groups argue it's inhumane to use carriage horses here. But the City Council in 2010 passed work rules that sound reasonable to us. They call for five weeks of vacation a year in a place with plenty of green pastures and all you can eat. No horse has to work if temps are above 90 or below 18 degrees. Their stalls must include a straw bed and be at least 80 square feet. And only horses between 5 and 26 years old are eligible to work. The NYPD oversees enforcement of the rules and we trust they are doing the job. While Bill de Blasio was elected mayor in November promising to shut down the carriage industry, it's not clear that he and Council Speaker Melissa Mark-Viverito can actually make it happen. For one thing, the horse-carriage industry is a legitimate business enterprise that has been around forever. Can the city just close it down because some leaders don't like it? The courts might not agree. 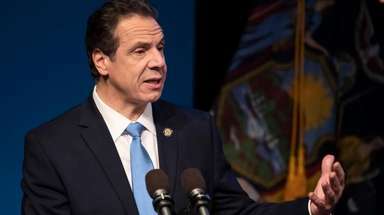 A recent Quinnipiac poll found that New York voters oppose outlawing the industry 64 percent to 24 percent -- a broad enough margin to strike terror in the hearts of most pols with a penchant for pragmatism. And then there's the prospect of 300-plus drivers who could lose their jobs. The Central Labor Council is urging the usually labor-friendly de Blasio to rethink his stand. But the real deal-breaker for us? It's those replica electric antique cars that de Blasio wants to substitute for 182 majestic -- registered -- horses and their skilled drivers around Central Park. Little replica cars whizzing around? Save 'em for Wally World. This is New York City.